Acupuncture FAQs | Acupuncture Clinic of Tom Ingegno L.Ac. Acupuncture is an ancient system of healing developed over thousands of years as part of the traditional medicine of China, Japan and other Eastern countries. The earliest records of acupuncture date back over 6,000 years and today there are over 3,000,000 practitioners worldwide. Although the majority of these practice in the East, over the last 50 years an increasing number of people in the West have trained to become acupuncturists. The practice of acupuncture is thought to have begun with the discovery that the stimulation of specific areas on the skin affects the functioning of certain organs of the body. It has evolved into a system of medicine that restores and maintains health by the insertion of fine needles into acupuncture points just beneath the body’s surface. These points are in very specific locations and lie on channels of energy. Moxibustion, the warming of acupuncture points through the use of smoldering herbs, is often used as a supplement and the needles may also be stimulated using a small electric current. Here in the West, acupuncture has been misleadingly publicized as only being helpful in specific conditions, such as the relief of pain. It is, in fact extremely effective in a wide variety of conditions through its power to stimulate the mind and body’s own healing response. Acupuncture has been proven effective in both children and adults in all states of health. Children are treated with special tools designed to stimulate points and meridians. Needles are not used with small children because the stimulation may be too strong for them. Geriatric conditions also respond well to mild stimulation. In Oriental Medicine it is believed that pathways called Meridians run throughout the body. Qi (pronounce Chee), Chinese for energy, runs along these meridians. When the Qi cannot flow smoothly, a person can develop both physical and mental symptoms. By inserting needles into the body in points along these meridians, an acupuncturist can help the Qi flow properly. When the Qi is flowing smoothly the body can heal itself. Acupuncture needles are very different from Injection needles. Acupuncture needles are much smaller, in most cases just slightly thicker than a strand of hair. Acupuncture needles taper at the end to slide smoothly into the point whereas injection needles have a hollow angled point which cuts into the skin. Most acupuncturists do look for some sensation around the needle. Patients may feel distention, warmth, or movement around the needle. In some cases they may feel something in other areas of the body. Sometimes a patient may feel a sensation even after the needle is pulled out. All these signs are natural and considered good responses. Many patients get an overall feeling of relaxation while the needles are retained. Some even sleep through the treatment. After the treatment some patients feel completely refreshed, while others may feel like they have just woken from a deep sleep. In acute conditions a patient should receive acupuncture once or twice a week. When symptoms improve patient can go two or three weeks between treatments. After patients recovers fully they may come in for maintenance treatments however often they feel like. Regular “tune up” treatments can be given to a patient with no major complaints as a form of preventative medicine. “Tune ups” are also a great way to relax. 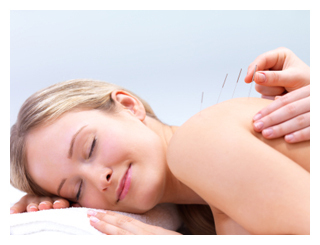 In many cases, your insurance will cover acupuncture. To see if you’re eligible to have your acupuncture treatment covered by insurance, contact us today. Give us a call, or just go ahead and set up an appointment for a free health screening. We strive to provide the highest quality Acupuncture and Oriental Medicine Possible. 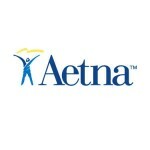 We work with many insurance companies and are in-network with the ones listed here. If you have any questions about acupuncture insurance, don’t see your insurance provider here, or are just wondering about acupuncture insurance coverage, just give us a call and we’ll answer any questions you have. Even if we are out of network with your insurance, you may still have acupuncture benefits on your policy and we will do our best to verify whether or not acupuncture is covered by your insurance. Please call to find out more. We take our respective professions very seriously and want to provide the highest quality health care available. Those who have been to see us will attest to that. Because of our commitment and our busy schedules we must insist on a 24 hour cancellation policy. With last minute cancellations or “no shows,” we lose treatments slots which could have gone to another patient. As such we require a 24 hour notice for cancelled appointments or we have charge the full value of the service which was missed. We thank you for your understanding.